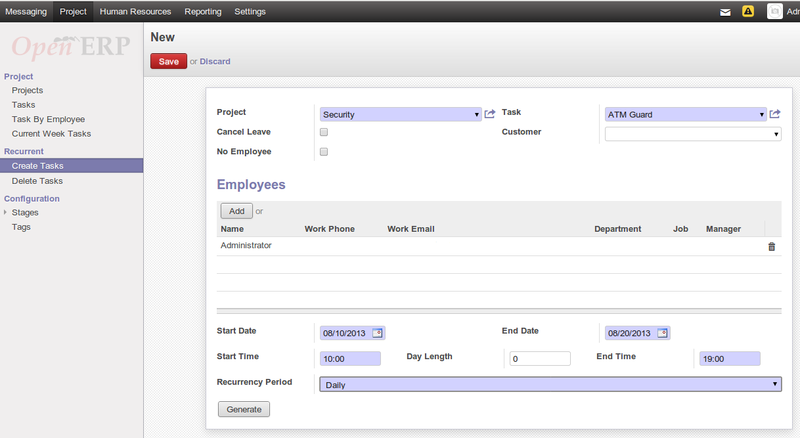 As we know OpenERP is such a strong and wide ERP and we can perform unbelievable implementation in it. We have implemented a concept called ‘Roster Management’ which is mainly creating recurrent tasks of employees for certain projects and periods. For any organization, it mainly require to define public holidays according to their country and region. There is leave request by an employee which is already approved. This is an important form for creating recurrent task. Let’s check fields details here. Cancel Leave – It will create task for employee and cancel employee leaves which are already approved and send an email to that particular employee also. 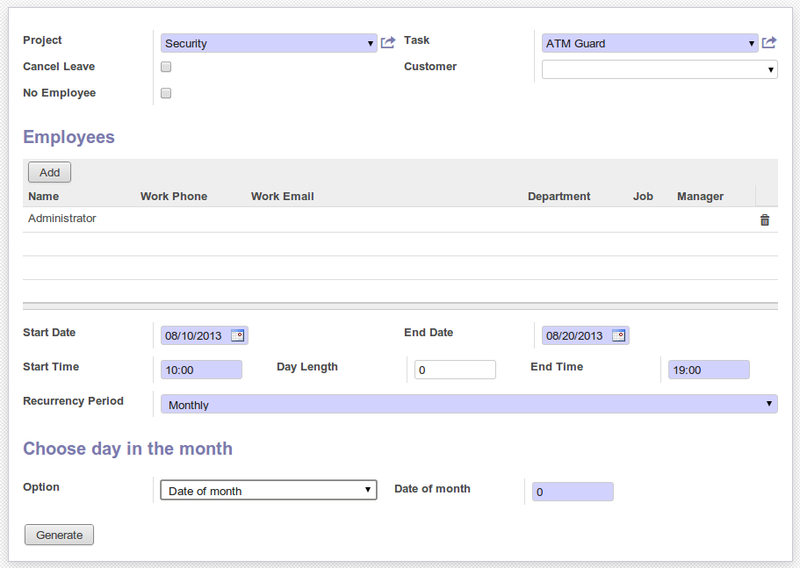 No Employee – It will create tasks without assigning any particular employee. Start Date – This date will consider for starting date of creating task and check for employee leaves those already approved. 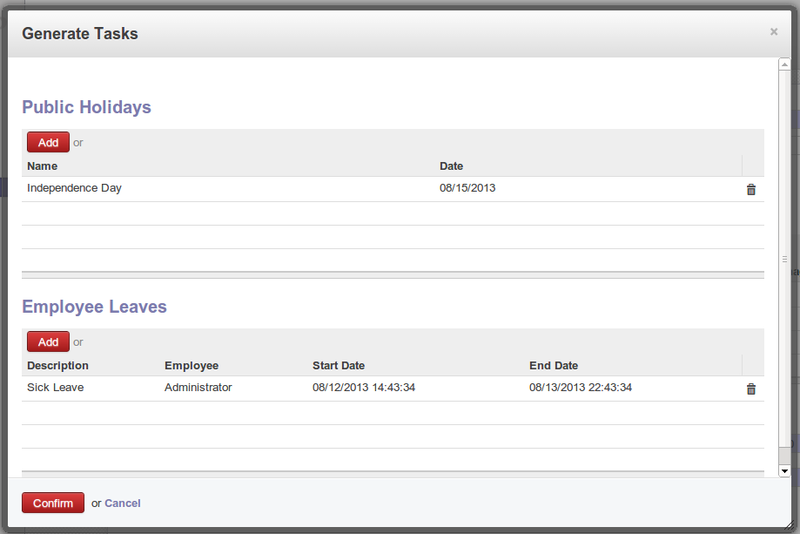 End Date – This date will consider for ending date of created task and check for employee leaves those already approved. Day Length – Sometimes task may span in more than 1 days. Default value is Zero. After click on Generate button, it will open following window. It will display Public Holidays as well as employee approved leaves. 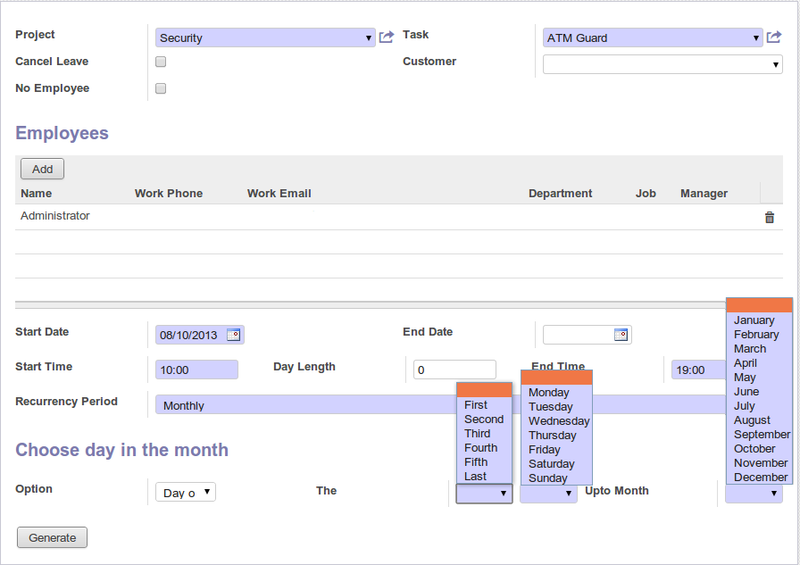 By default, it will not create any task for those dates which include in both sections. It will create task on holiday or leave if user remove it manually from list. 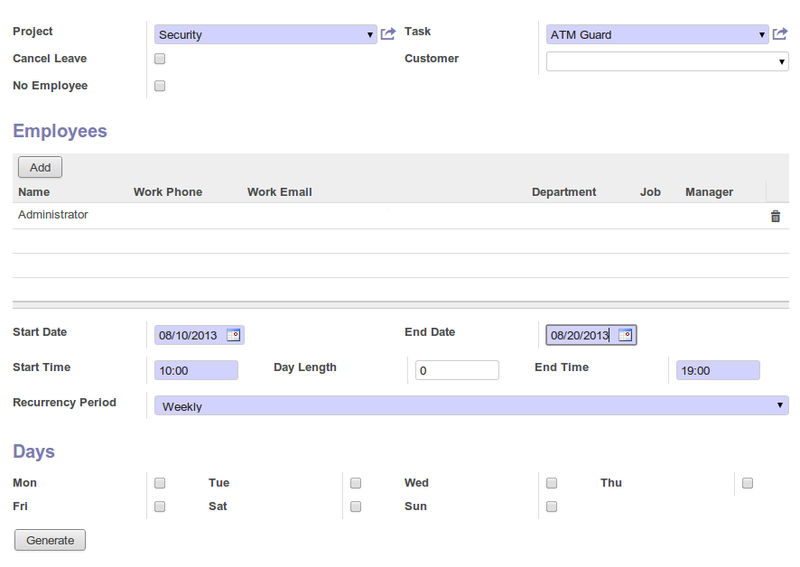 As you can see in following screen, there is no task created for 12, 13 and 15 date. 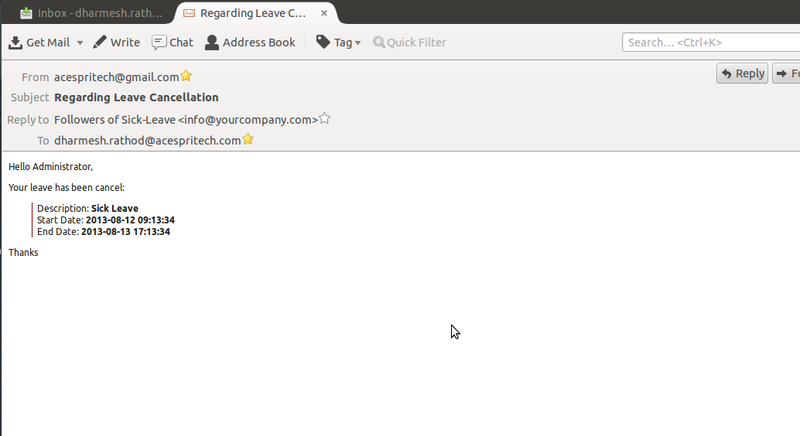 It is sending an email like below in case of employee leave has been cancel. This menu display all tasks those start and end in current week. It consider week from Monday To Sunday. 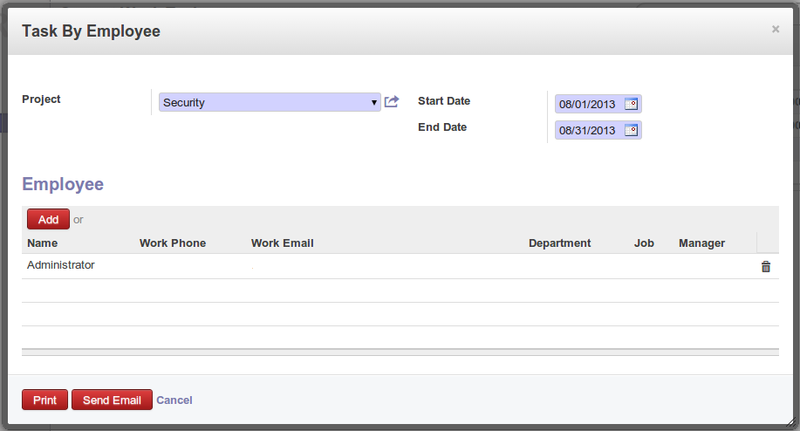 There is a facility to send an email or print tasks for employee for particular period. 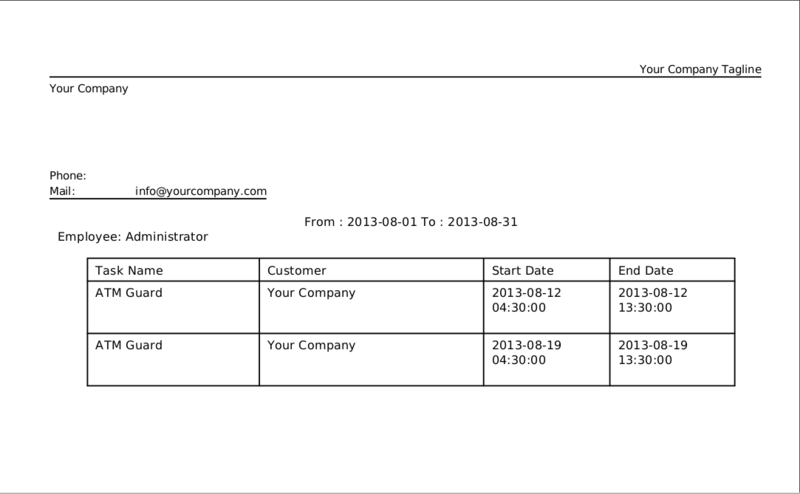 It is sending list of tasks in PDF file as a attachment to each employee on their working email address. 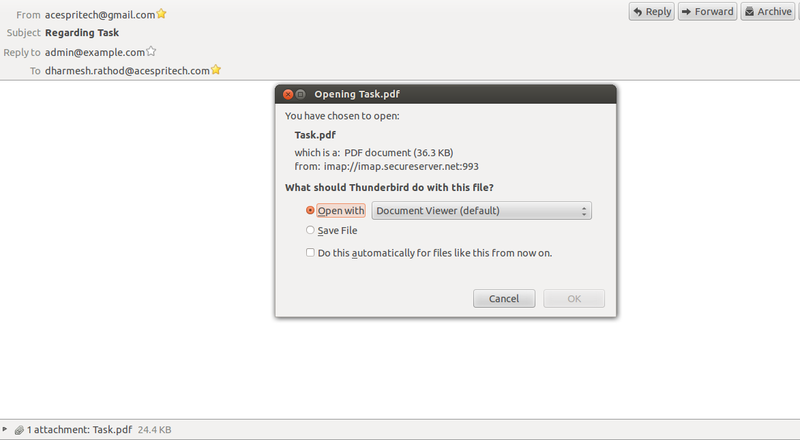 It is also possible to print in PDF report. For weekly task creation, we have this following screen.